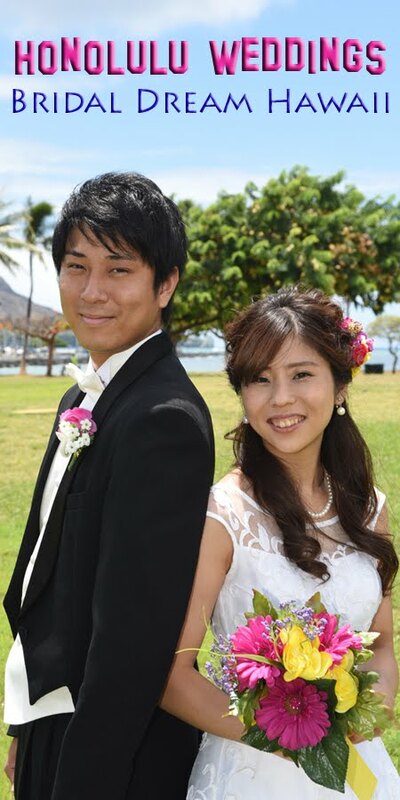 Photographer shoots creative style Hawaii honeymoon photos for Japanese couple Shinya and Maki at Ala Moana Beach Park. Have fun at the beach and your Oahu wedding photos will turn out great! Need a Photographer in Honolulu? Call Robert at 808-772-1140. Text messages okay.